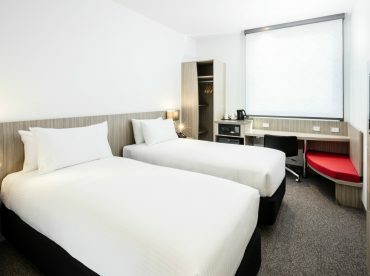 Ibis Mackay's rooms are designed for comfort and functionality. 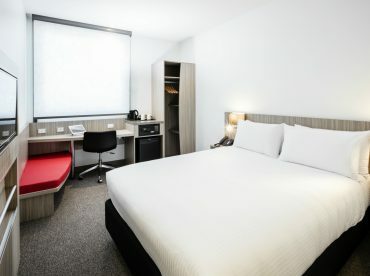 Each room is kitted out with Sweet Beds by Ibis, free WiFi connection, an in-room safe, and tea and coffee making facilities. Car parking is complimentary with your stay, and the kitchen is open 24 hours to our guests. 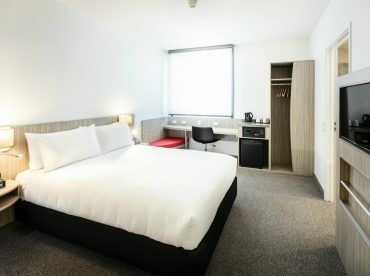 Ibis Sweet beds were designed by the Ibis team to give guests the best possible nights sleep – they have a multi-density mattress and 7cm topper to ensure your back is deliciously comfortable. They’ve been through a lot of testing before making in into your hotel room to make sure we can give you a seriously comfortable sleep.